FORGIVEN! 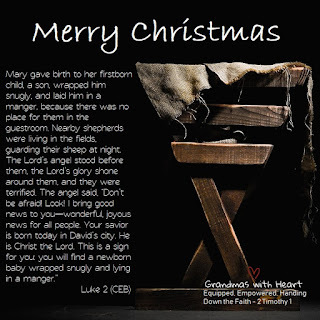 The message of Christmas - from Books by Lynda and Grandmas with Heart to you - Merry Christmas! Have Fun Handing Down the Faith with Science, the Bible & Fun! My grandsons love science projects - especially any with big, surprising results . . . like when we combine baking soda and vinegar! 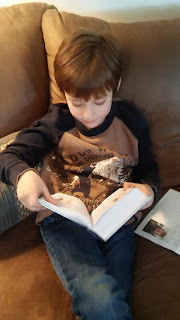 So, knowing I could get their attention with science projects, I wrote 52 lessons with the goal of introducing the boys to real people like Josiah, Caleb, John, Jehoshaphat, Daniel and of course, Jesus. I use science projects to introduce the point - and to help my grandsons remember the point. We keep prayer journals. We play silly games. We have fun together - hence the name; Science, the Bible & Fun! 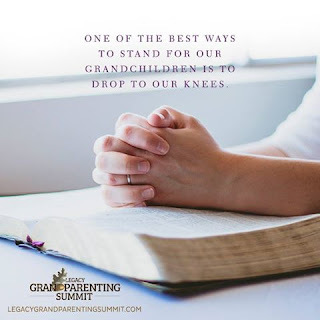 I want my grandsons to know, love and walk with God, so to help them with this I'm intentional about doing things with them to help them learn to read their Bibles, pray and walk with God. You can do the same with Science, the Bible & Fun - check it out at this link. So, while it is very warm out today, my thoughts are going towards Christmas. I'm thinking about the gifts I want to give my family this year. 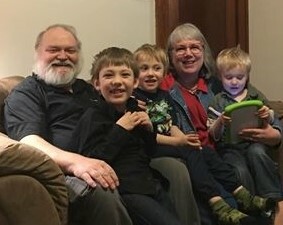 My grandsons are young (nine, six and four) and so to them, not surprisingly, great gifts tend to be tech focused or with a heavy emphasis on super heroes! And since they love rocks and fossils, should they receive any of these, they would be quite happy for sure! September 10, 2017 is Grandparent's Day . 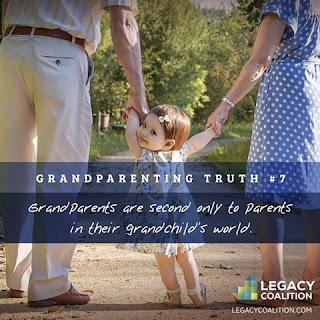 . . a day set aside to, "Honor grandparents, to give grandparents an opportunity to show love for their children's children, and to help children become aware of the strength, information, and guidance older people are able to offer". 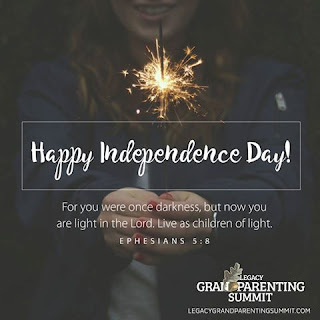 I hope you have a wonderful 4th of July filled with grandchildren, cookouts and a reflection on the freedom we enjoy in this country and through Christ! 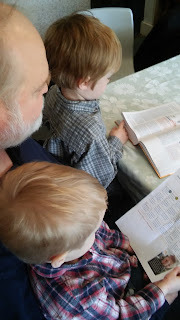 Helping my Grandsons Learn to Pray the Scriptures! 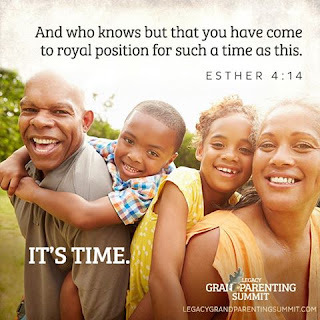 My husband and I are praying through the Book of Psalms for our grandsons - and our daughter, son and daughter-in-law. 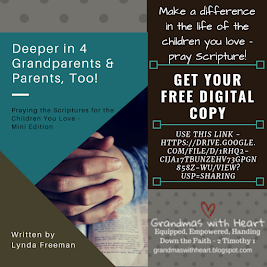 We are using my book - Deeper In 4 Grandparents & Parents, Too! Praying the Scriptures for the Children You Love - Psalms Edition. 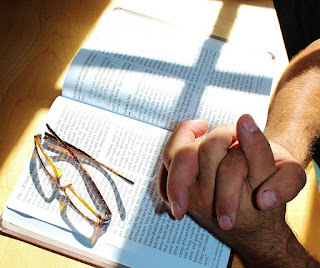 Each week we pray through a different passage, which is broken into seven smaller portions for focused daily prayer. 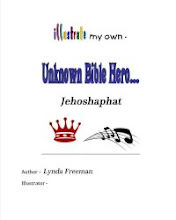 I am working on a "version" of this book for children where they will be able to pray through the same Scriptures as their grandparents - or parents - are praying each day. So, I've started having my grandsons give it a try! 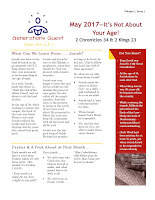 I have personally read through the Bible many times in my life – as you have likely done as well, however; I recently came across a verse which I'm sure I must have read before, but just truly "noticed" . . . .
Today is June 1st and it is the day those of us using Generations Quest to be intentional about passing on faith to our grandchildren will begin a study in the life of King Josiah and learn about what it means to love God's Word. It will be a great month of learning and important faith conversations for sure! If you have not made the decision yet to use Generations Quest with your family, consider the following . . .